OfficeSuite, the award-winning, and premier Android office app are nowhere for Windows PC. The free and robust productivity suite is fully compatible with Microsoft Office formats and allows you to quickly and effortlessly work, create and organize all your documents, spreadsheets, presentations, and PDFs. With the cross-platform support for Android, iOS and Windows PC, as well as support for all major Cloud providers you can have your documents with you wherever you go. 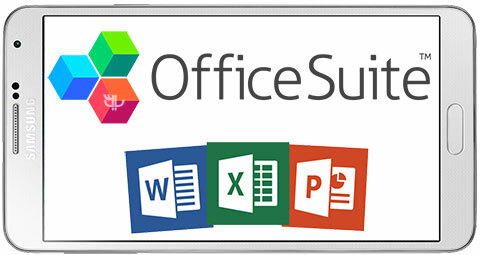 OfficeSuite lets you easily create, view and edit Word, Excel, and PowerPoint documents, and perform advanced PDF operations. Complete with an integrated file manager, this is one of the most feature-rich mobile office solutions available. OfficeSuite has a familiar desktop-inspired interface that is easy to work with and feels like you have been using it for years. Cross-platform support between PC, Android, and iOS. Synchronization between devices through an OfficeSuite account. Powerful PDF integration including converting PDFs to Word, Excel, or ePub, permissions management, text to PDF, and annotations. Free 15GB document storage on OfficeSuite Drive once you sign in. Fully compatible with popular Cloud providers including iCloud, Google Drive, Dropbox, Box, OneDrive, SugarSync, WebDAV, Amazon Cloud Drive. Sharing via email, Bluetooth, as well as all messaging apps. Localized in Japanese, Russian, Spanish, German, French, Italian, Thai, Chinese (Simplified), Hindi and Bulgarian. Export PDFs to editable Word, Excel, and ePub files. Print documents without a watermark. Convert documents to PDFs without a watermark.